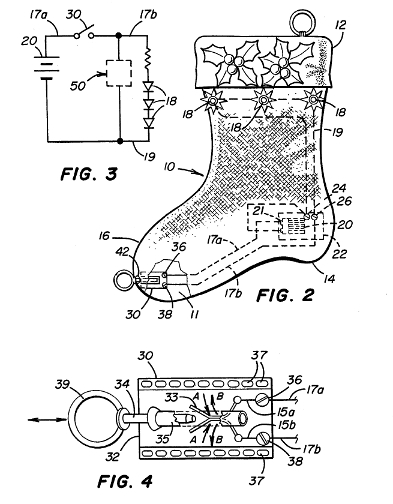 “This patent application received a Christmas present, a prompt allowance. There was not a lot of prior art on the elf detectors." A children's Christmas Stocking device useful for visually signalling the arrival of Santa Claus by illuminating an externally visable light source having a power source located within said device.